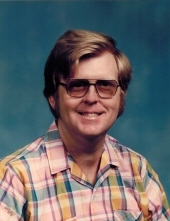 Dan Earl Carpenter, 67, passed away April 6, 2019 at his home in Galena Park, Texas. He was born on February 29, 1952 in Seguin, Texas to parents Earl and Maxine Carpenter. Dan was a caring son, brother, uncle and friend. He and his family moved to Galena Park where they enjoyed their community for over 60 years. He is preceded in death by his father. Dan Earl is lovingly survived by his mother, Maxine Carpenter; brother, Michael Carpenter and wife, Lisa; nieces and nephews, Georgia Marie and Jake Borbidge and their children, Grayson and Scarlett, Michael and Aimee Carpenter and their children, Stella and Violet; cousins, Julie Sheldon, Thomas Naumann; and uncle Roland Naumann. The family invites you to join them for a visitation on Saturday, April 13, 2019 at Carter-Conley Funeral Home from 12:00 P.M. to 1:00 P.M. with memorial services to follow at 1:00 P.M. Inurnment services will be held on Monday, April 15, 2019 at McNeil Cemetery in McNeil, Texas. To send flowers or a remembrance gift to the family of Dan Earl Carpenter, please visit our Tribute Store. "Email Address" would like to share the life celebration of Dan Earl Carpenter. Click on the "link" to go to share a favorite memory or leave a condolence message for the family.